What is this? When we got an AlertMe system installed, I found the interface too clunky for my phone – so I made one up myself. The focus is mainly on the security side, so you can see at a glance if sensors are present and if the alarm has been set off. 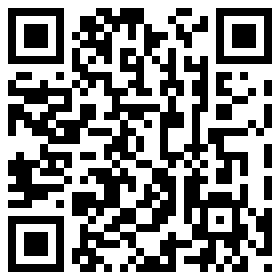 Scan and install the app now! Where can I get it? You can get the app for your Android device at Google Play. 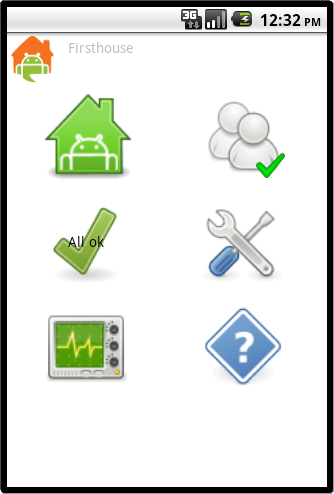 Older versions of the AlertMe for Android apk can be found here. If you have any issues or (constructive) comments I may get back to you below. The simple interface - you can scan if things are in order at a glance. 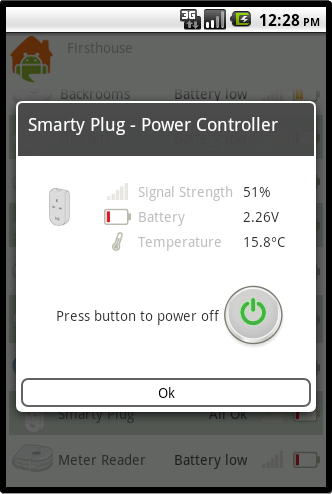 You can examine the state of each device and switch on/off your smart plugs! View the event history just like the web interface. 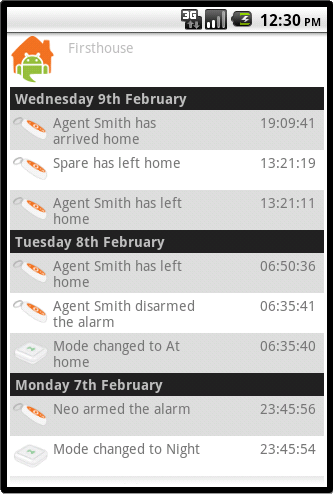 I hope you don’t mind me contacting you but I have seen you have created an android app for the alertme system. I have just purchased the alertme energy saving product and a couple of the push buttons. I must say thanks for creating this app because its great for viewing the device status and seeing the temperatures from them. I have a couple of questions for you! firstly are you still developing the app? If I had a smart plug from them would i be able to turn it on and off through your app? and the last one! Under the device list it is showing a device call Lamp1 which shows a signal strenght of %100 but battery low. I think this device is one of my homeeasy plug in remote sockets but not sure!! The problem is because it has no battery it shows a warning on the app so wondered if theres a way to remove it from the list. Hi Chris, and thanks for using my AlertMe app! I update the app when I feel I need to fix major bugs – that’s why the last update had the negative temperatures fix (which I detected the past winter). I have also put the code here which you can fork (I still haven’t checked in that fix to this though). Yes! If you have a smart plug then you can switch it on/off with the app. All the devices listed should be what your AlertMe hub acknowledges, which is controlled by what you have set up with the main interface – so if the low battery warning bothers you you might consider ‘removing’ the device. However, I ‘winged’ the thresholds of low/med/high levels of battery (since they aren’t in the API the app uses) and took an educated guess on these when I wrote it. If you feel that the battery level is not too low to be considered warning about I can possibly adjust the ‘med’ level to that value if you care to tell me what it says. HI, Thanks for the info, Im in IT myself but a Serve Admin so nothing about coding!! !Im interested to have a look though just to play but when I get to your link i cant see where the code sits, probably just me!! 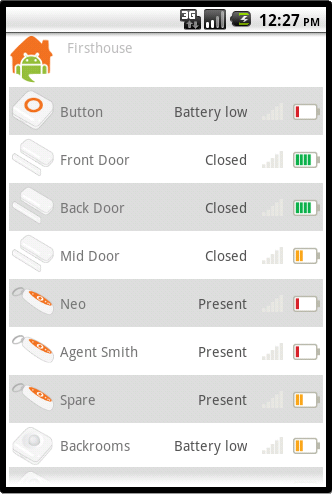 I only have the energy saving version of the software so limited what I can do with the devices but i have managed to get a couple of smart plugs, key fob and door switches off ebay to have a play around with because I like the way you can see the status through your app and also the events. Do you know if there is anyway to see an eventlog through the web interface ? this may be a limitation of the energy saving version. Ideally i’d like to use the push button as a doorbell and have the pushes logged which i can see through your app but i need to some how get this to ring a bell etc because i dont have the other hub which includes the bell! I have found i can remove the lamp device from the classic view, it doesnt show in the main dashboard view! I didnt add the device in, i can only think it went in when i added one of the others and the device is just a remote homeeasy plugsocket and has no battery in, im suprised the alertme software found it!! You can browse the code or checkout a version using Mecurial (hg). I’ve had AlertMe for a while and I find the original interface more in tune with security monitoring than the energy focus they have now: if you go to the classic view and select ‘My History’ you can see the event logs (My History -> Logs) similar to the ones on my app. The other great thing about the old interface is you can view graphs (My History -> Graphs) to compare your devices temperatures (and other attributes). Unfortunately, I don’t know much about the new hub as I have the large original one that can ring (or dog bark or a combination of both.) For me, under the classic interface, go to ‘My Settings’ -> ‘Services’ and ensure that the ‘Doorbell’ icon is in the ‘Active Services’ section. 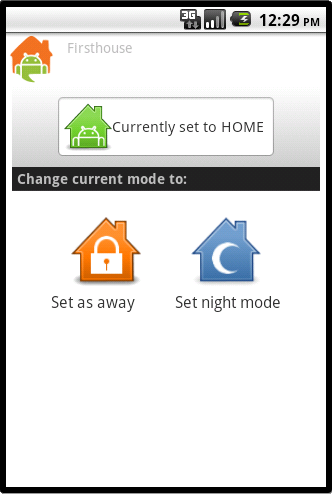 Then go to the classic ‘My Home’ and click on the ‘Doorbell’ icon: this is where you can configure the sounds. HomeEasy must also use the ZigBee spec – though it is useful for low powered devices having no battery must take the cake! I’m on the yearly monitoring subscription but feel they haven’t been providing the level of service they offered before all the eco-rebranding. But I digress. There is the same type hub as yours on ebay due to end shortly which i was thinking of purchasing but not sure if it will be any benefit as your app does most of the work that the main use would be to try and get the bell function working but not sure if i could do that without going and paying the subscription charge. Just tried it and the link does work that’s excellent, now I just need to find a way to export the data to a spreadsheet!! Thank you for all your help with this and sorry for all the questions! You should really try to get your app out there because I’m sure many people would use and pay for it. If you want to grab the actual figures you would probably be better off using AlertMePI. From there you can alter it to export events in CSV format, with the bonus of less fluffing with Java. The latest API documentation (*pfffp* latest – the web version is higher) outlines all the available functions (reading the comments in src/org/darkgoddess/alertme/api/AlertMeServer.java might also be handy.) For you to check if you can use the doorbell ‘service’, use getAllServices. AlertMe proper did show interest in my app, but nothing has really come up out of it. I don’t really want to charge for the app – the official iPhone version is free – and I don’t feel like paying Google to share one app just yet. Perhaps when I get a basic beer scoring one ready I’ll reconsider putting them both up on the market Google Play. No worries about the questions – the old forum before redesign/rebranding had a wealth of information before they ‘cleaned it up’ (deleting all the posts, including the fairly active complaints thread.) In the meantime, I occasionally look at AlertMe User’s Forum for unbiased (and uncensored) discussions on AlertMe and other home monitoring kit. Completely unrelated to Alertme but just realised you are Hertfordshire based, I live in Stevenage myself, small world!! back to Alertme! I did purchase the system which was on ebay for £65 so thought not a bad deal as it comes with button door contact motion sensor and 2 fobs. I will see what I can get working with my system before I go to the monitoring version. I did see something about having 2 hubs before whether I can just add the monitoring hub as a device under my own solution I will have to see. Typical, just got the alertme bits I bought from ebay and Alertme servers are down!!! I’ve just managed to set up a few more Alertme devices at last and decided to go for the full system and pay the subscription!! but noticed the app doesn’t seem to show the Door/Window status correctly, they are all showing as Open no matter what state they are in. I just wondered if you have the same issue. Hmmm, just tested one of my door sensors and the old state was being shown initially. Looks like it’s due to my aggressive caching – there is a maximum limit to how many calls to the API you can do each day (this also affects access to the web interface) – once the inbuilt cache expires the updated results is accurate. Hi Kit, long time no msg!!!! I have just changed device and managed to get myself a Nexus 7! I noticed that the door sensors are still not showing the correct status, all display as open no matter what state they are in which made me think its probably not a cache problem. Was looking around yesterday and found IRIS, the US version of AlertMe and they have already developed android software for it but no mention of it being available on the UK site yet! I haven’t had any luck with the door sensor states – my emulator is reporting the opposite to my phone. Perhaps further compounding to things is the very limited storage on my phone; it probably needs to be replaced anyway (Nexus 1, haha.) Though I’ve compared results on the phone, emulator and website interface it seems my phone still is accurate. Fun times debugging this whooppie! Huh, I’ve not looked into AlertMe news ever since they’ve taken to posting random stories on the front page so I’ve totally missed the press release; and indeed their sensors look very similar. Not sure if their Android app would be compatible to AlertMe-proper accounts but it would be amusing if it is. Personally I wish they did more cleaning on the home front though. With a disjoint web interface, ancient and buggy developer API, a broken iPhone app (last news I’ve heard anyway), no official Android app – things are still in this state while they go about with partnership deals and posting “eco” stuff. If there is a way to use our own machines to host the server instead I’d gladly do it in a heartbeat. Like you say it looks like they are more interested in there partnership deals like with British Gas and the new central heating controller, everything else has been pushed aside. Its a real shame because it could be such a good product. I did have a quick look at the data coming from the test api and comparing it, I’m probably completely wrong and don’t understand enough of it to check but could it be that your app is reading the Tamper status rather than the closed status for the contact sensors? If its the case it would explain why my sensors all read the same. It’s not likely that the Tamper status is getting used; the results of getDeviceChannelValue is internally saved as an unordered associative array. The attributes are taken by their key – ‘Closed’ in this case. The interface then displays ‘Closed’ if the value is equal to ‘true’ (case-insensitive) otherwise ‘Open’ would be shown. Finally, I think I’ve got it..
ffs, this is the kind of thing that really drives me nuts about AlertMe – in all the ranty whiny ways imaginable. Could not find class ‘org.xmlrpc.android.XMLRPCClient’, referenced from method org.darkgoddess.alertme.api.AlertMeServer. I didnt find anything on internet about that, so I ask if someone here know the answer. Please it will be very helpful. Oh, perhaps I should of explicitly stated on the Google Code page that Android XMLRPC is necessary for the code to work. Hopefully that’s all the dependencies missing and it’ll work out. I am considering moving from an iPhone to the s3 and was checking the apps I need were on Android, I use alertme alot to monitor energy use and turn smartplugs on/off. Does this app you created do that? Also how do you install this, is there any instructions? I find that since the app is rather basic I don’t need any instructions (yet) though there is a brief ‘help’ page. Yes, the app does switch smartplugs on and off again. Also, I may be shunting the app to Google Play soon enough. The wonders of deadlines.. So i got me an s3 this afternoon, I sure it’s simple but I am none the wiser, not got a clue where to start. Thanks for this, was probably one of the main things I was missing in terms of apps. I was looking into the Google APIs that apparently can plug into this thing but it was simply too hard to get into quickly. It’s on the roadmap, but that may be a while. The app was my response for having a better mobile interface for Android on the alarm/monitoring perspective (the original reason why I’ve got it.) A little surprising they still don’t have an Android version, but then again, they have been rather quiet on the development front for at least a year. Hi Kit, Just seen your post on here with link to updated API, just tried it and all working perfectly! Yep all door sensors working as they should, downloaded from google play and your link, I’m guessing both the same coz they both work fine! Yep, finally pushed it to Google Play since I had to register to punt out the Letchworth app.